Here are some pictures we took hours after we got engaged. 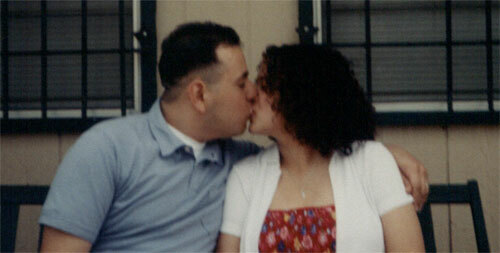 These were taken outside of Priscilla's apartment on April 22, 2001. At the time, our photographer, Courtenay, did not realize that we were engaged. She thought we were taking pictures just for fun. And here we are, kissing again.